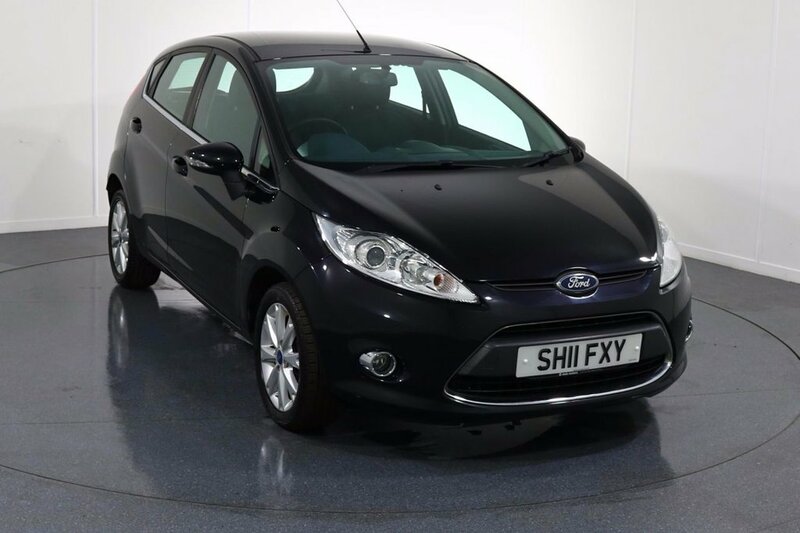 A Stunning Ford Fiesta in METALLIC Panther Black complemented by ALLOY WHEELS and Front Fog Lights. Make your calls handsfree using the BLUETOOTH Interface. Charge your phone using the USB port. Listen to your favourite music from your phone through the AUX Port, or simply using the CD player. These alongside all other radio functions can be controlled using the Multifunction Steering Wheel. Drive in comfort whatever the weather with both AIR CONDITIONING and the QuickClear HEATED WINDSCREEN. Safe for your children with ISOFIX Anchorage Points to fix child seats into. Buy with confidence as it has had just ONE OWNER From New. Maintained very well with 5 Stamp SERVICE HISTORY. Cheap to Run thanks to it being LOW INSURANCE GROUP and its Fuel Efficient Engine achieving 60+mpg. Start your journey with AWB Motors. A family run business since 1989. All cars being sold with 6 month parts and labour RAC Warranty and 12 month Roadside Assistance all FREE. Call today on 01613437733 and reserve this car for upto a week with a £100 REFUNDABLE holding deposit. All our cars undergo professional valets, hpi checks and are given extensive pre delivery inspections. Come and view 7 DAYS A WEEK. COMPETITIVE FINANCE Packages and DELIVERY available.